3. There are some who blame others for everything. And then there are some who blame themselves for everything. There’s really no difference. If you are blaming, then you are a victim. It all just strengthens false ego identification – the idea that you are a thing that you are not. 5. 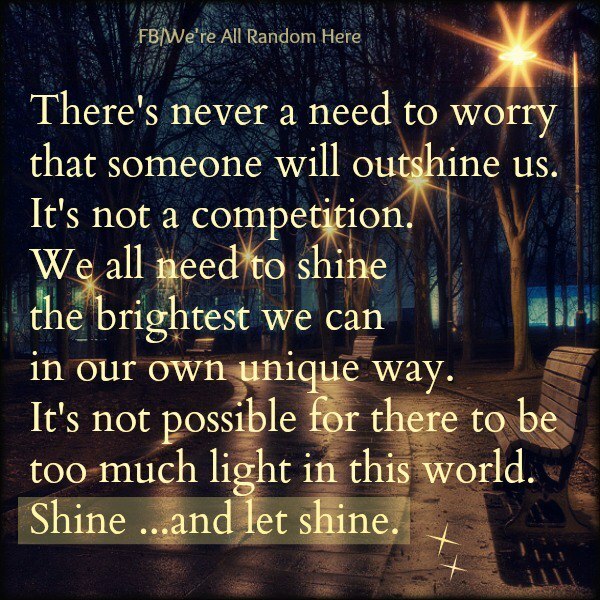 There’s never a need to worry that someone will outshine us. It’s not a competition. We all need to shine the brightest we can in our own unique way. It’s not possible for there to be too much Light in this world. SHINE and LET SHINE…..